Alien Workshop must have a thing for dead gay pop artists from Pennsylvania. 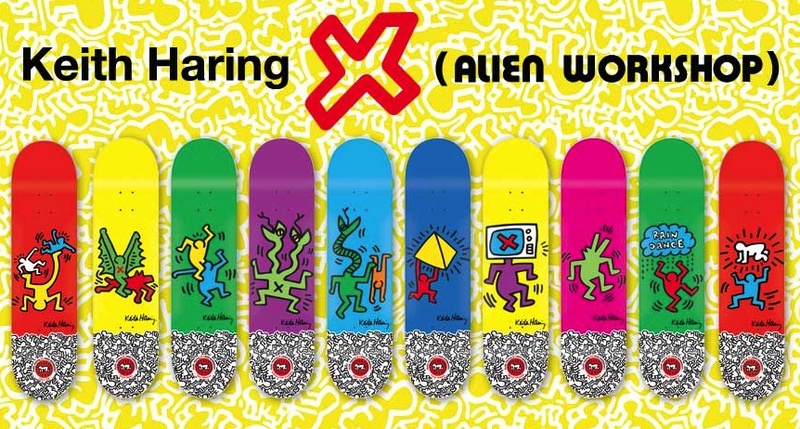 Admittedly these are my favorite artists and the Keith Haring x Alien Workshop collaboration decks are just as brilliant as the Warhol series. My favorite of the bunch is Thrasher’s Skater of the Year, Grant Taylor. Close second belongs to one of Alien’s newest pros, Jake Johnson.